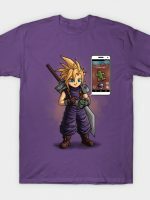 Final Fantasy VII T-Shirt by Louis Wulwick aka KindaCreative. 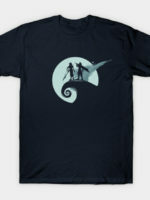 Show everyone that you are a fan of Final Fantasy with this t-shirt. I’m loving that shirt. You should also do a Kefka, Sephiroth, Ultimecia, Kuja. The villains of Final Fantasy.